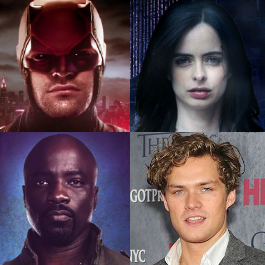 After 5 seasons the DEFENDERS is finally here! Tammy and Claire are joined by special guests Connor and Elizabeth to discuss episode 1 of the long awaited series. Did Danny cause the NYC earthquake by punching Elektra? Was Matt’s pep-talk to Aaron appropriate? And lastly, where are co-hosts Matt and Mel? Thank you all for your thoughts on episode 1. We love hearing your feedback! ← Defenders Bonus Episode: Our hopes for the series!